At Ulrich Window & Door Co. in Manheim, Pennsylvania, we offer professional installation of vinyl windows, vinyl decking, and replacement doors for your home. We proudly offer vinyl replacement windows manufactured by Thermal Windows & Doors of Pittsburgh, the oldest manufacturer of vinyl replacement window in the United States, with more than 55 years of experience. Most products are backed by a lifetime warranty. 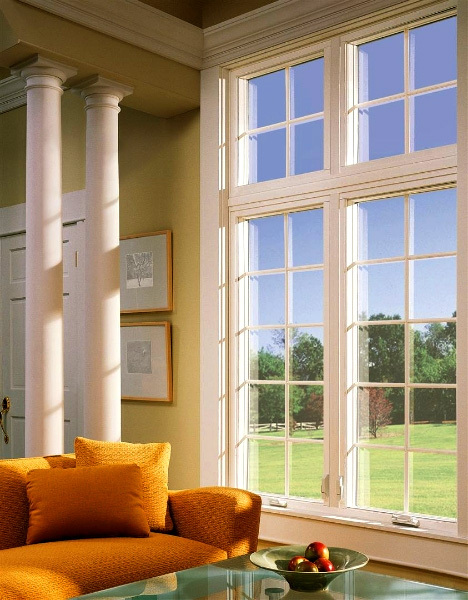 We also have access to other windows, such as Wincore® and Simonton Windows®. Replacement windows in nine exteriors colors, two interior colors, and three woodgrains. Increase the value, beauty, and security of your home with new replacement doors from our professionals. We offer a variety of entrance, patio, and storm doors from top companies, including SafeGuard®, and we specialize in steel and fiberglass products for your home. This line of pre-finished doors is second to none in quality and security. Protect your home with solid-core storm doors and storm windows from Ulrich Window & Door Co. We carry a variety of products manufactured by Household Metals Inc, West Chester Window & Door Co, and Anderson. Enjoy a beautiful view with no interruption, as well as a maintenance-free deck when you choose Ulrich Window & Door Co. Contact us to learn more about our replacement window and doors.